At the Mecum auction about one car crosses the block every 30 seconds – so for a three day auction that equals…well, a LOT of cars. 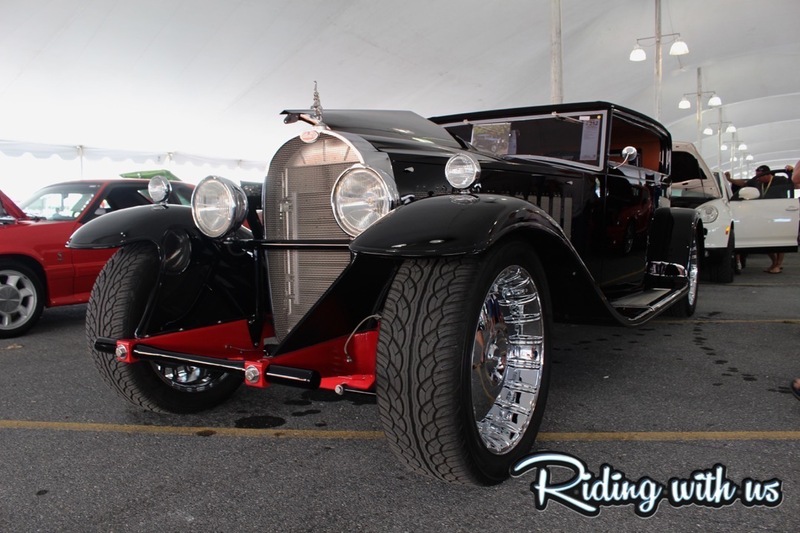 I had the chance to see this auction in action in Harrisburg, PA and saw some pretty hot rides as I wandered through the buildings and tents full of customs and classics (click HERE to check out the photo gallery from this trip). 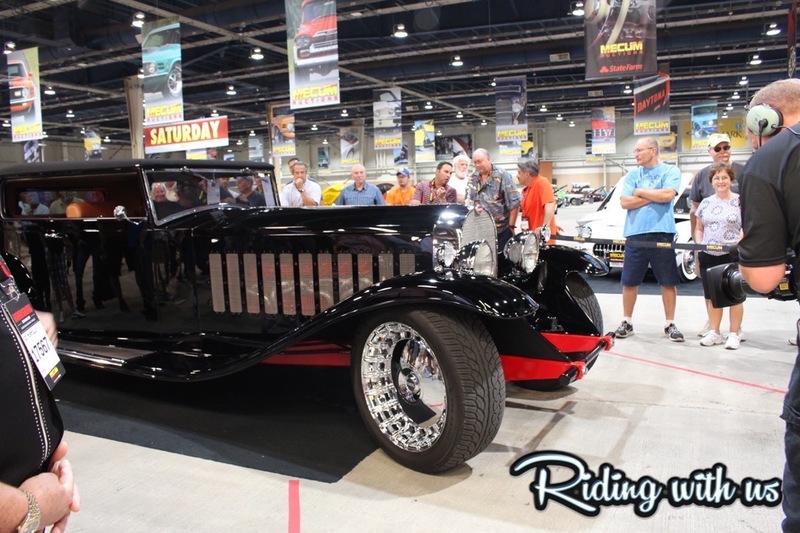 But I couldn’t stop looking at one car – a 1931 Bugatti Royale replica. 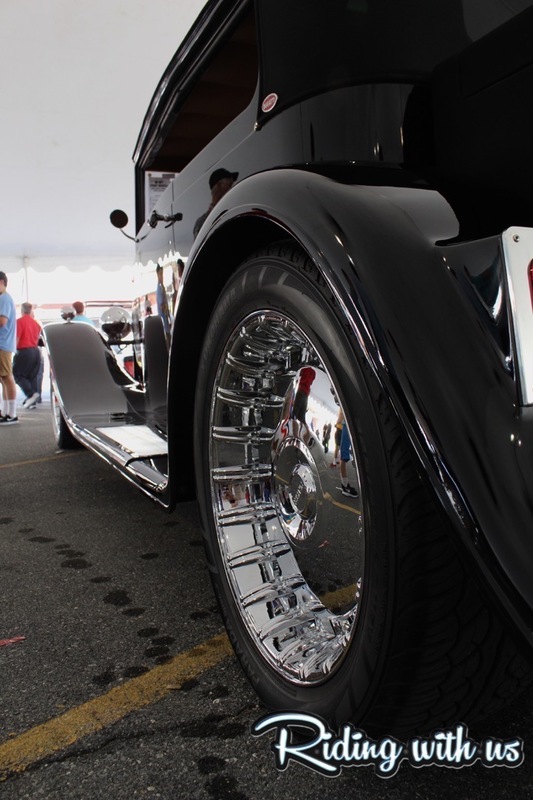 The first thing that caught my eye was the wheels…I’ve never seen a 1930-anything sitting on a mean set of wheels like this one! But this wasn’t the only thing that set this ride apart from the rest. 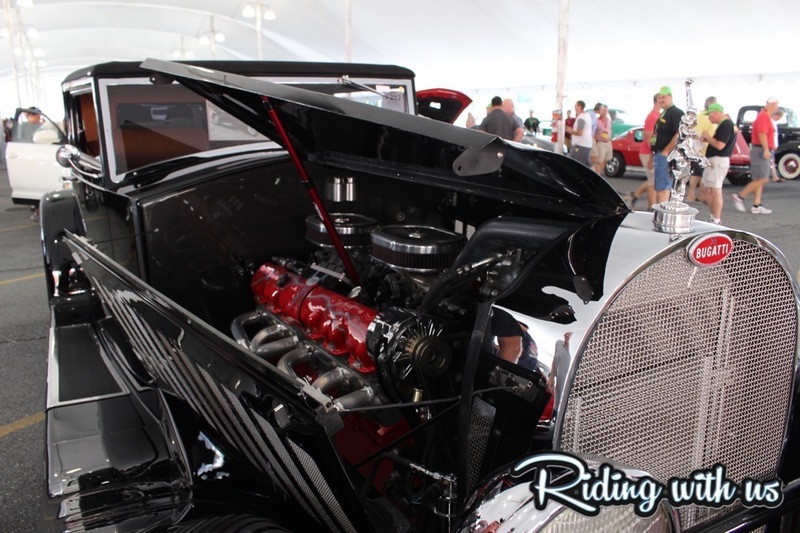 Powered by a Thunder V-12 702/425 HP engine, this car is built to move. It’s heavy-duty suspension and rear were chosen for a reason: this was one massive ride. 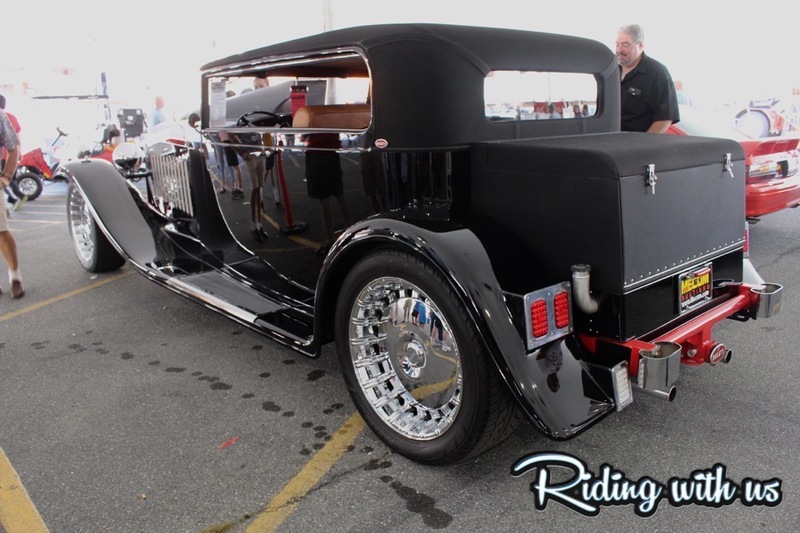 The builder, Ed Murmillo of Ed’s Rods and Recks in Norfolk, VA said that he always wanted to build a car like this that could be enjoyed. It took 25 months to complete the build, and the end result showed the care this build team took in every detail. 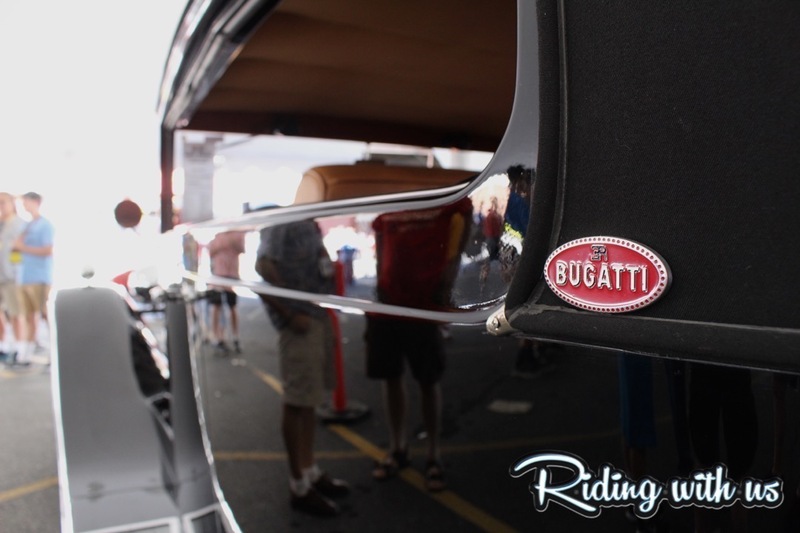 Ed explained that unfortunately most rides of this vintage are a prisoner of their own value, but this Bugatti was built to drive! 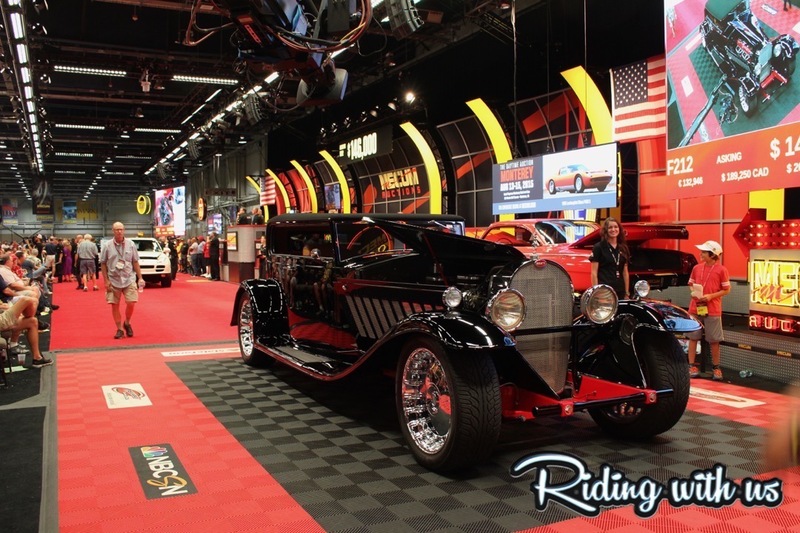 However, driving this luxury ride is going to take the winning bidder some practice…it’s so long they almost couldn’t make the turn to get it on the auction block. When it finally did cross the block it sold for $147,500, the second highest sale price of this auction. 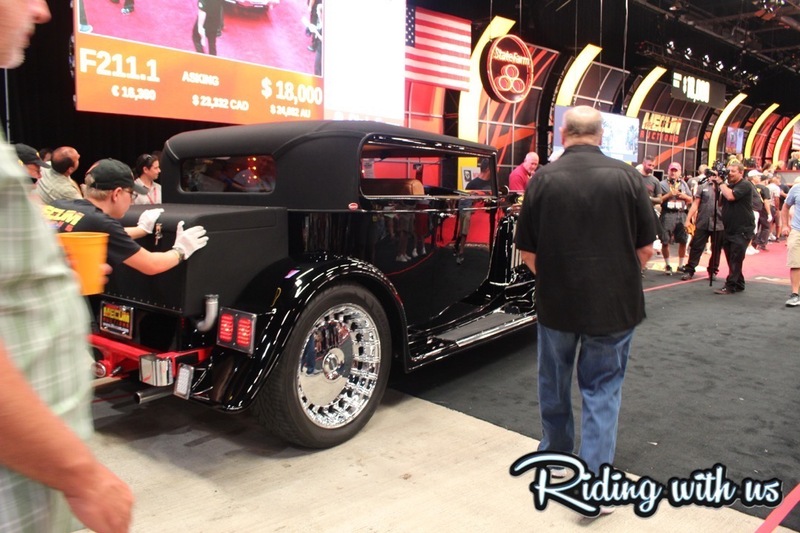 Check out our gallery below and see why this ride was a total show stopper. I would love to see this rolling down the road one day soon.